It’s Time for a Tune Up on Your Air Conditioner! It’s that time of year where you really need to think of your HVAC system in your home and call us for a check up on your heating and air systems. You never know with the change of weather what can happen to your HVAC. Adam’s Air and we do a thorough examination of your heating and air conditioner. -Monitor system for proper amperage, volt draw, and wiring. So as you can see from the pictures how we go make sure your HVAC is in the best shape for the summer or winter. Give us a call today and let us prepare your home or office for summer. https://adamsairamarillo.com/wp-content/uploads/2018/01/Adams-Air-Logo-01.png 0 0 George Deahl https://adamsairamarillo.com/wp-content/uploads/2018/01/Adams-Air-Logo-01.png George Deahl2016-04-27 22:50:502016-04-27 22:50:50It's Time for a Tune Up on Your Air Conditioner! We spend almost 90% of our lives indoors. Household cleaners, aerosols, sprays, pollens, molds, allergens, airtight homes, smoke and viruses are causes of poor indoor air quality. Studies have shown that the air inside our home can be even more polluted than outdoor air. The rates of asthma and airborne-related illnesses are on the rise. Many allergists and physicians are recommending air cleaning products for their patients. The Electronic Air Cleaner is a unique patented technology. It helps keep your indoor air cleaner. It’s safe, reliable and effective in removing key contaminates from indoor air. 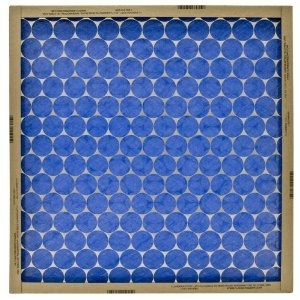 The air filters you buy at Wal Mart or your big box hardware stores are ok, but not the best. The top filter is good but it can actually can block air flow to your house, and if you open your return and look at it it will look concave because the air current cant get through and the force of the air is bending the filter in. The bottom one is too thin so it’s not really holding any pollens, dust, smoke, and viruses. But you can invest with Adam’s Air and purchase our (EAC), or ELECTRONIC AIR CLEANER. Electronic Air Cleaners are safe, reliable, convenient and designed with features to fit your needs. It lets you take cleaner indoor air for granted. It has the features, performance and convenience you should require for your home. We have a wide range of sizes to fit any heating or cooling ventilation system. Ask your dealer for further information and sizing for your system. The install doesn’t take long at all, and it installs in your HVAC system in your home. It runs off a 24 volt supply that also hooks up to your HVAC. This gives the filter a small charge which attracts all the pollens and molds and viruses, which in turns helps you to breathe better, cleaner air, and hopefully less money spent on doctors and medicine. You change out the media every four months that might take you a total of five minutes are less. Breathe cleaner air with less worry. Call us today for a quote! Adam’s Air belongs to a international business that helps small and large and self owed businesses to increase sales with referrals. The local chapters of BNI meet for 90 minutes each week. BNI provides a positive, supportive, and structured environment for the development and exchange of quality business referrals. It does so by helping you build personal relationships with dozens of other qualified business professionals. BNI offers members the opportunity to share ideas, contacts, networks and most importantly, business referrals. 98% of businesses rely on referrals to gain new business. 3% of businesses have a strategy for generating referrals. Which percentage do you fit in? Being a member of BNI is like having sales people working for you every day who market your product or service. If referrals are an important part of your business, then BNI is the organization for you. An average BNI group will have 25-30 members from every kind of business you can imagine. Just think if only half those members had a referral for you a couple of times a month, that’s 30 referrals more than you more than likely would have for a few months or even longer. In 2015, 190,000 members of worldwide passed over 7.7 million referrals, which resulted in more than 9.3 billion dollars in worldwide business! And it works locally. if you and your company is interested in learning more about BNI, or becoming member of this elite group please contact the following.